This specially made fluid produces a dense ground-hugging effect which will disperse and evaporate before any visible rising. Ideally suited for dramatic scenes and great for spooky Halloween parties. 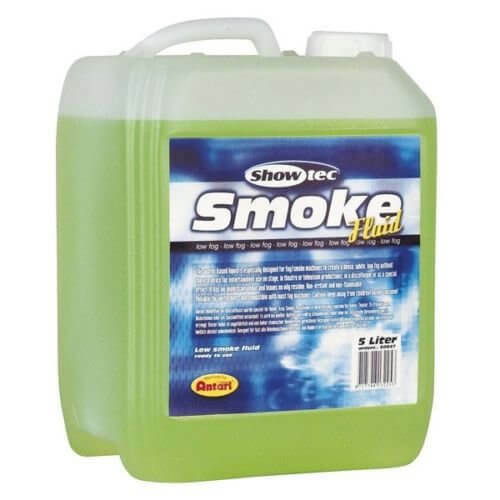 This water based liquid is especially designed for fog-machines to create a dense, white, low fog without the use of ice for entertainment use on stage, in theatre or television productions, in a discotheque or as a special effect. It has no unpleasant odour and leaves no oily residue. Non-irritant and non-flammable. Reliable for performers and compatible with most fog machines. Caution: keep away from children! Do not consume! Compatible with all brands of low fog machines including Fogtec Zero G, ADJ Mister Kool, Antari ICE1000 and many more.